Are you feeling overwhelmed by the thought of shopping for family members and friends this December? Tired of the latest electronic gadgets and gizmos? Over the years, I’ve grown to value experiences more than things. Spending quality time with love ones results in closer relationships. This week’s post celebrates the benefits of board games. But not all board games are fun for everyone. Monopoly and Risk are both elimination games which take too long too play. Keep every player hopeful that anyone might win. Involve skill in addition to chance. 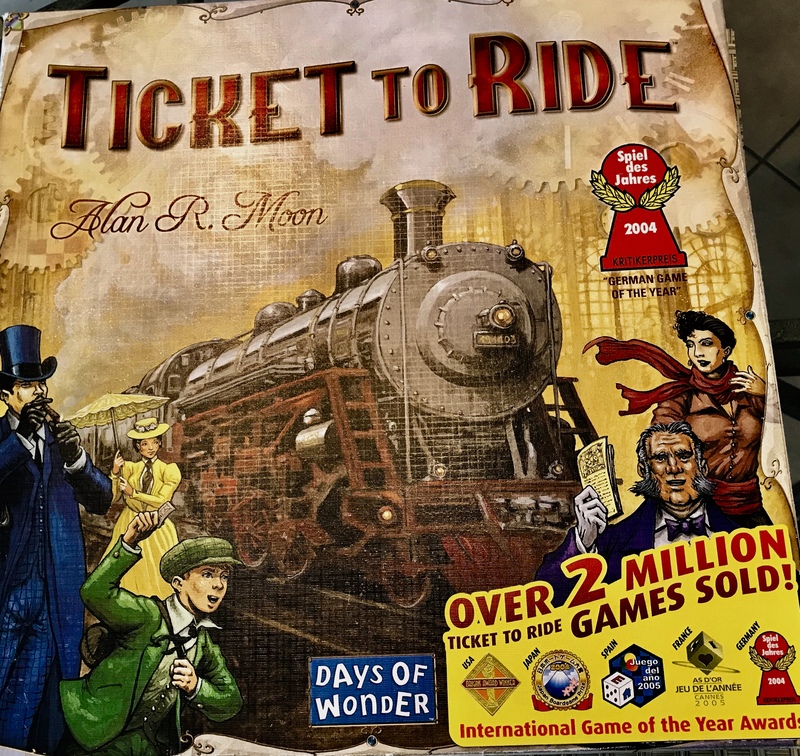 Many of you are already familiar with my family’s affection for Ticket to Ride. (Days of Wonder) After two years, we still play this game every Sunday afternoon. It’s developed into a habit we can’t seem to break. In this two to five player game each person draws tickets with specified routes. Players receive points for placing their train cars on tracks which connect various U. S. cities. At the end of the game, each player reveals their routes and completed trips. Points are either awarded or deducted based on the number of trips completed. All players remain in the game until the end and the winner is always a surprise. 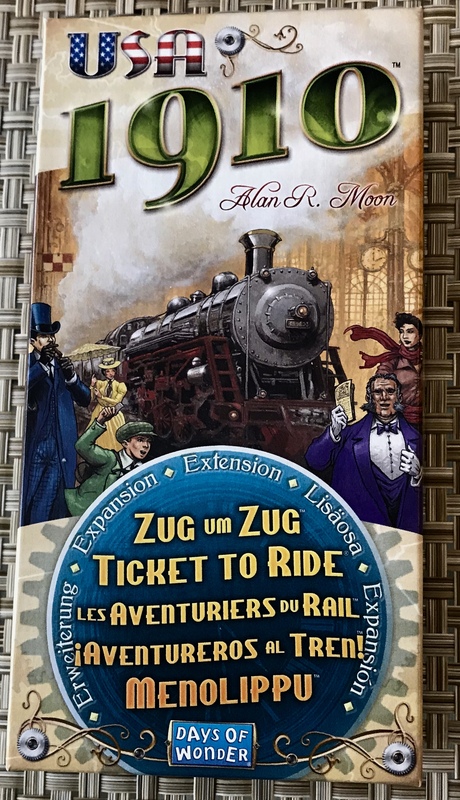 The 1910 expansion pack is a good idea for anyone purchasing Ticket to Ride. It contains larger playing cards and additional routes. At the end of the game a player can earn the fifteen point Globetrotter bonus card for the most completed trips. Our second favorite family board game is Beyond Balderdash. (Parker Brothers) This game has been around for awhile. We like it better than the original Balderdash because it includes a movie category. The object of Beyond Balderdash is to make up written answers which bluff the other players. A dasher reads all the answers submitted and includes the real answer in the mix. Points are awarded for fooling other players, as well as for choosing the real and often unbelievable answer. My family members enjoy coming up with witty blurbs to describe each movie. 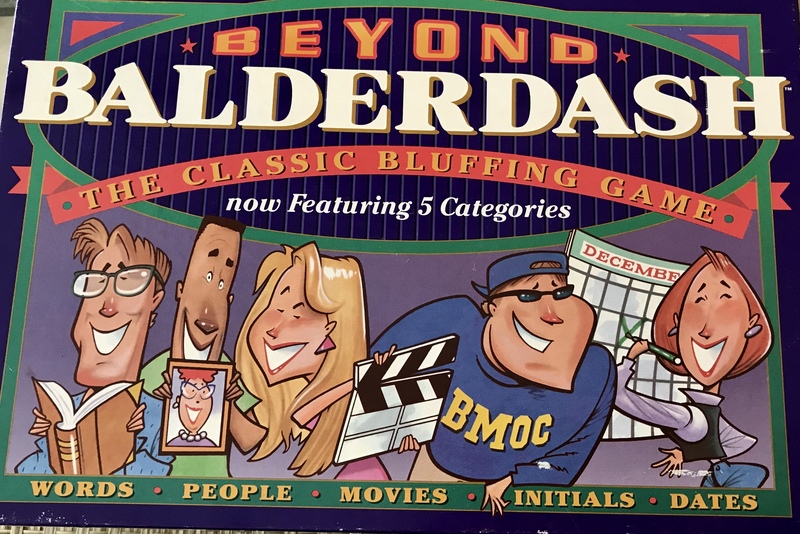 The title of one movie was “Madhouse.” My husband, Herb submitted this summary: “An out of control builder takes his anger out on his wife by building her a two-story house without a staircase.” Beyond Balderdash inspires our creativity and can be played by as many as seven players. 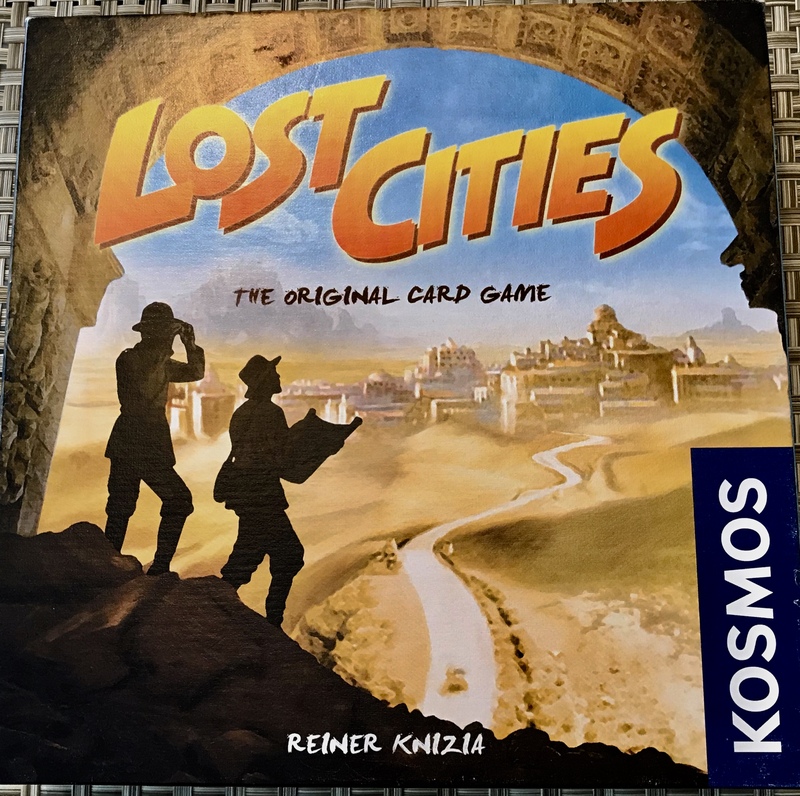 Lost Cities (Kosmos) is a card game for two players. Herb and I love this game because it’s very compact for travel and only takes thirty minutes to play. The object of the game is to form expedition routes and earn discovery points. Players draw cards and organize them in numerical order. At the end of each round, points are awarded for cards played which exceed the cost of each expedition. 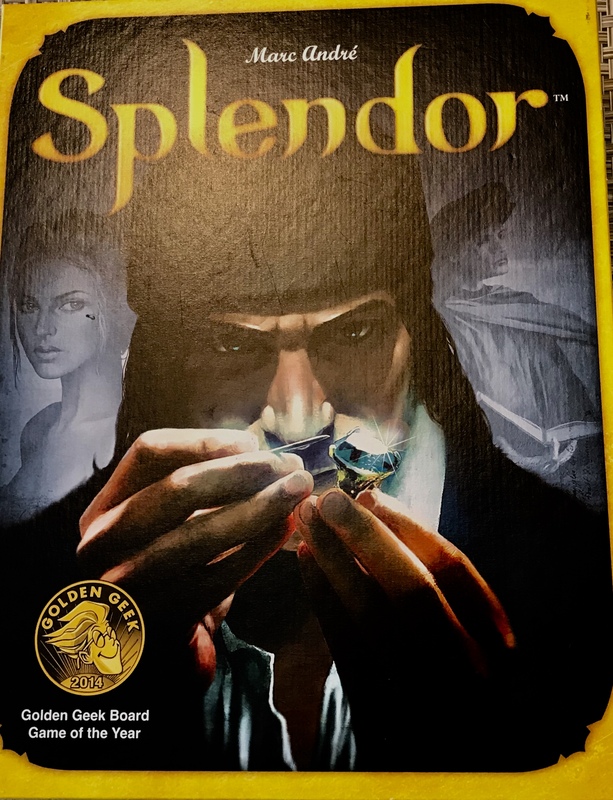 Splendor (Days of Wonder) is an artistic and mathematical game designed for up to four players. Each player takes on the role of a rich merchant during the Renaissance. As a merchant you collect gems and gold tokens that can used to buy development cards. Some development cards carry point values. Each player tries to be the first to reach the sum of fifteen points and win the game. A good board game never goes out of style and can bring family entertainment for years. Leave a comment and let me know your opinion of any of these games, or offer a suggestion for something we haven’t tried. I haven’t played a board game in years. You mentioned a couple I’ve never heard about. Hmmmmm. May have to try one. Ok, thanks to you, I now have additional ideas for my family members who won’t be with us for Christmas this year. That means everyone! I’ll be ordering one for Jack and me as well so I’ll have something to do Christmas Day!